Now that you’ve gotten organized and educated, you can start sorting through your ideas for putting your design together. Start sifting through all of your photos and samples you’ve gathered and see if you find a pattern. Are most of the photos of kitchens one style or color of wood? Do most of the bathrooms show a more linear design, square tub or sinks, or do you see rounder shapes? Does one color scheme stand out more than others? These are all clues about the style that you are really attracted to. You might like a particular style in a magazine when you see it and have some photos in that style, but in my experience, majority rules here. Your collection of photos speaks to your comfort zone. However; don’t lose sight of your furniture style and the style of your home’s exterior or interior architecture. If you’ve gotten this self-help homework done, you’re ready to go to work, building the design. Using a Design-Build General Contractor, the design service should be part of your contract. The Design-Build Contractor receives discounts from material suppliers in your area. With a Cost-Plus contract, you should be receiving contractor’s cost on all of your materials, or understand clearly why not. Those discounts make buying from local suppliers a cost effective smart idea. Your local vendors will assist with any issues that develop with their product. Many will even work with customers that are introduced through contractors when they are unhappy with a product. The material supplier and the contractor have a relationship that is valuable to the store and worth of customer service time to preserve. If a problem develops with a plumbing or electrical fixture that was purchased locally, the supplier will most often order a new product from the manufacturer without needing to return the defective one first. That can mean not having to do without until the new product arrives. It can mean limiting your plumbing or electrical contractor to one trip; take out and put in. In some cases, a trip charge that can cost more than the defective part! Can you see now why those deals on the internet might look less and less attractive to you? Without a Design-Build Contractor, you might be considering a licensed Design Professional. It’s a difficult decision. A lot of money will be invested into your project materials. It doesn’t take more than a couple of mistakes before the Design Professional isn’t looking that expensive. On the other hand, we all have friends who have done a beautiful job with their finished design without paying for assistance. Designers, like Contractors, receive discounts from their material suppliers. In the case of finish construction design materials, I receive up to 35% on some materials. By passing on that discount to their customers, the fees become much more cost-effective. If a Designer isn’t offering their discounts, consider asking when discussing their fee. If their fee is substantial AND they are receiving the discounts; that’s double dipping! When to bring your Design Professional in to help? Day 1 is the short answer. If you’re really going to get your money’s worth, you’ll want to consider window coverings and furniture placement before finalizing the design to ensure you have the proper space. This won’t require a lot of hours, but will save money and aggravation down the road. A good Design Professional will work with you as an adviser to introduce you to their library of experience and education. They will help you through the dozens of decisions; from drywall texture and woodwork or trim, as well as finished fabrics, etc, if you desire that help as well. If you are unable to use a design professional due to budget constraints or determination to learn about construction and interior design, but have never done anything quite like this before, there are as many How-To design blogs for design as there are for laying tile, or painting, or other skills developed by craftsmen. However; I do have some advice for you. Don’t pick anything until you have decided on everything! If you’ve been following my posts, you’ve seen this before, but I can’t say it enough. Gather up decently large samples for your box. Order and pay for bigger samples, if need be. Colors change as they get larger. Color changes with a change in texture. Color changes when reflecting off of other colors in the room. NEVER select a color from a magazine without ordering a sample and putting it in your mix. NEVER select paint from the little squares. Buy quarts and brush them on a poster board size sheet that you can move to your samples or against cabinets. NEVER paint paint on a wall next to other colors. It changes with the reflected colors. And again, start thinking about all your materials as one big outfit. You’ll want to gather all of your tile, flooring, wood samples from cabinets, lighting metals (if available), paint, and look at them all together. If you’ve been following me, feel free to let me know what topics you want to know more about. As always, I am happy to hear your comments or questions. Many advantages can be found in a Design-Build style General Contractor for folks looking to remodel, rebuild, or desire to create a new custom home. Although there are not as many of these types of General Residential Construction companies, it’s worth the hunt to find a good one. The reason they are few and far between is that the talent to design creatively is not commonly combined with the talent to build efficiently. Most Generals come from a construction background where it is most common to receive a set of plans and then generate a Fixed Bid Contract. From reading my Post, you can probably understand why offering design suggestions wouldn’t necessarily be to the advantage of the Fixed Price General Contractor. Note: A Design-Build General does not necessarily draw plans, but they fully participate in the design process. Below, I will share 6 reasons why a General with a Design-Build service can be a way for homeowners to get the best value and satisfaction for their home construction investment. 1. …help a homeowner design a plan that is budget minded from Day 1. When a General is looking at the original ideas, before the plans are even on paper, he/she can tell where the most expensive structural areas will be located. The number one best place to save money is a budget wise structural design.I put that in bold, but wish I could add neon flashing lights too. Using the expertise of a creative Contractor will generate the most bang for your buck in the structure as well as finished materials. Starting the process with a Contractor who understands HONEST (Yes! Hiding budget from a Cost-Plus Design-Build Contractor holds no advantages for the homeowner) budget constraints, helps homeowners start weighing their needs and desires list with their budgetary constraints early on in the process. 2. …ensure that the physical process of drawing of the plans is done in the most cost-effective way for the specific project. There are a several different types of services that can be used to get a set of plans prepared. 3. …ensure that the design encompasses most of what the homeowners want and need while being creative and cost-effective; including the tile, cabinet layout, closet space and furniture placement so that everything that should fit, does fit. 4. …select the most cost-effective engineer for the structural calculations. 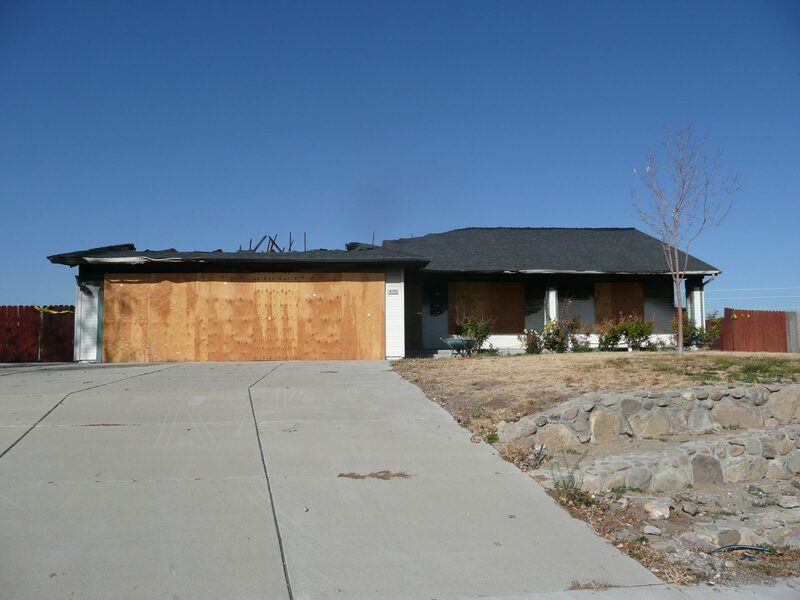 In Nevada, each home plan needs to be engineered for the specific location. Nevada residents cannot buy plans on-line and take them to their local building department for a permit. The cheapest Engineering bill can cost hundreds or thousands of dollars more for construction time and materials during the building process. You might not be as shocked as I was by this fact, but an engineer cannot be sued for OVER ENGINEERING a project. A Design-Build General and Engineer that share a good relationship can often work as a team to find more ways to tackle structural requirements. 5. …minimize drawing errors and omissions in the plans. In our experience, it is rare to find an Architect, even the priciest ones, with hands on construction experience. When a Day 1 team is formed with the General and the Architect or Residential Designer, there are much fewer surprises later in the process. Most errors in the drawings will be changed before plans are sent out to bid, allowing for more accurate budget calculations. 6. …develop a team leadership role from Day 1. A successful home construction project is made possible through successful team work and relationship development. Starting with your General as your team leader in the beginning gives all parties a chance to get to know each other and develop the trust needed to get through the frustrating times in order to be able to celebrate success together. If you have had experience with a Design-Build Home Construction Project, please share any additional insights you might have. This is a huge topic. Comments could be very valuable for furthering our knowledge of the subject. Before thinking about what kind of Contractor to hire or if you’re still thinking about how much money you think you can save by not having the umbrella of protection that a reputable licensed contractor can provide, look over the list below. I’ve gotten most of this information from the Nevada State Contractors License Board website. It’s a great resource. Most of these tips apply to Sub Contractors (i.e. plumber, electrician, roofer) as well as General Contractors. 1. Check the Contractor’s License number by calling the Nevada State Contractors Board at (775) 688-1141 or use their easy search engine, always posted to the right on my page. 2. Research the Contractor by name to try and find out if that Contractor has held his license under other business names. In the state of Nevada, a business might be fined, go bankrupt, or have it’s license revoked, but in most cases, the person who qualified for the license ( the Contractor) can walk away and start ripping folks off again with a fresh new business license. Research the Contractor by license number. Make sure that the license number on the card matches the number on the website assigned to the name on the card. If the name and number don’t match, don’t use that contractor. License sharing is illegal in Nevada. 3. Ask for a detailed work history from the Contractor. If there are “blanks” in his/her work history, find out why. Clue: If you see in your research that the business is newer than the Contractor looks, ask what he/she had been up to before starting this business. If you find out that he/she is from another state, ask for the license board information from that state. Not all states have a license board. Ask for Bank References and Vendor references; another great way to establish credibility. 4. Check all of the References. Don’t be shy with this. Don’t be lazy with this. You are making a big financial investment, success requires your time investment as well. Of course, no one is going to give references that they anticipate will be negative but there are questions that you will ask that will give you clues. More about that in another post. 5. Get a written contract. Always. No matter how nice, polite, or clean cut and handsome the Contractor might be. Contractors who “don’t usually” use a written contract have a big red blinking warning sign over their heads, even if you can’t quite see it. 6. Pay no more than 10% down or $1,000- if a deposit is required, no matter how big the job, until work begins. 7. Don’t let payments get ahead of the work. Keep a detailed record of all payments. 8. Don’t pay cash, ever, to anyone on your project. Even if they are offering a discount so that they can avoid taxes, remember, those that are dishonest in one area of their lives will most likely find it easy to be dishonest in many areas of their lives. 9. Keep a Job file of all papers relating to your project. My clients and colleagues always see me with a big three ring binder. 10. Ask for Certificates of Insurance for the Contractor and Sub-Contractor before signing the contract or writing a deposit check. This protects you. Don’t accept excuses. Only hire a Contractor that you feel completely comfortable with! If you’re interested in learning more about the differences between Design-Build firms and Fixed Bid Contractors, see our blog Why Design Build.